The concept of a “tablet” had been around for five years or so by September 2010, with the Nokia 770 pioneering the way with modest sales in 2005. However, the launch of the original Apple iPad in January 2010 really defined what people expected from a tablet, and the iPad rapidly went on to be a huge success. Of course, other manufacturers wanted a slice of this market and two of the earliest competitors were quite similar to each other - the Samsung Galaxy Tab P1000 and the BlackBerry PlayBook. However, neither of these could match the success of the Apple product for somewhat different reasons. Both the Galaxy Tab and the PlayBook shared similar form factors, each using a 7” 1024 x 600 pixel panel and coming in at about half the weight and footprint of the original iPad. Both devices were available in either WiFi-only or (eventually) cellular versions, but they both ran very different operating systems. Samsung's first Android tablet, the Samsung Galaxy Tab P1000 was an Android 2.2 "Froyo" device (upgradable to Android 2.3 “Gingerbread”), which was basically just a straight port of the OS that Samsung had running on their smartphones. This version of Android met with criticism as it wasn’t really designed to run on a big-screen device such as a tablet, to the extent that Google developed the tablet-only Android 3.0 “Honeycomb” OS that addressed many of those shortcomings. Unlike the iPad, the original Galaxy Tab was a somewhat bland affair which didn’t have much shelf appeal when it hit the shops shortly before Christmas 2010. Even so, you might expect it to sell in reasonable numbers... but bizarrely it was even more expensive than the iPad to buy, and the Tab stayed firmly on the shelves until Samsung started to discount it heavily. Overall, the original Galaxy Tab was not a successful product, but Samsung stuck with it and made much better and more competitive devices. 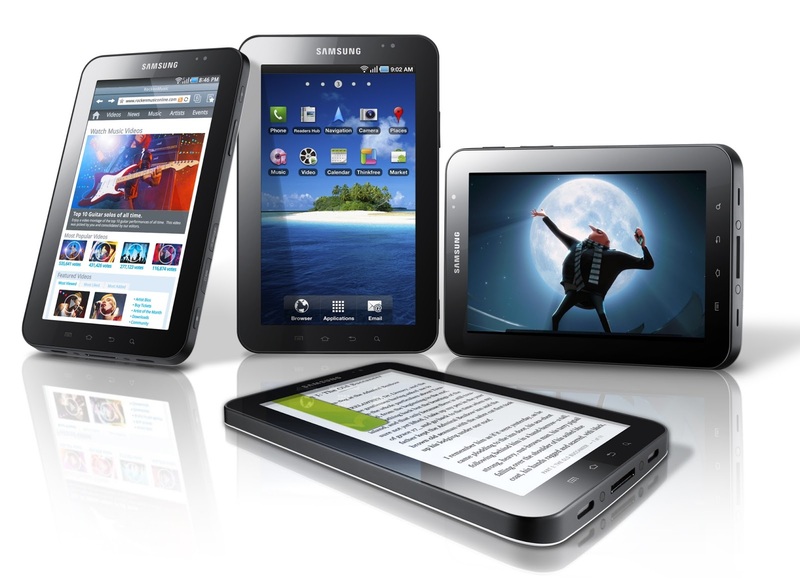 Although Apple is still the manufacturer to beat, Samsung have carved out a significant slice of the tablet market five years later. On the other hand, RIM had taken a different approach with the BlackBerry PlayBook. Although BlackBerry makers RIM were riding high with their traditional smartphones such as the Curve and Torch devices, the operating system on those was ancient and it was never going to be suitable for a tablet device. Instead, the operating system on the PlayBook was based on QNX, a real-time OS aimed at embedded devices that RIM had acquired earlier in 2010. But QNX wasn’t really a consumer-ready OS, and although it provided a solid platform to build on, it still meant that RIM had to create almost everything from scratch. All rivals Samsung had to do was port Android, this was much harder and it took seven months from the product announcement to units actually shipped in the Spring of 2011. But when the PlayBook finally did hit the market, it was clear that it wasn’t ready. The operating system was extremely buggy, it had few applications of any real worth and worse still, it could not integrate with BlackBerry email which was the one killer application that RIM did better than everybody else. Hundreds of thousands of PlayBooks were shipped to the supply chain, where they remained. Take-up of the PlayBook was close to zero, until RIM started to discount units very aggressively. However, PlayBooks clogged up the retail channel for years afterwards and indeed so-called “new” units are still available five years later. Eventually the QNX-based OS on the PlayBook was developed into BlackBerry 10, which was launched with the BlackBerry Z10 in 2013. But RIM (now just called BlackBerry Ltd) had learned very little from the PlayBook, and sales channels became stuffed with Z10s that nobody wanted, leading to a billion-dollar inventory write-off. 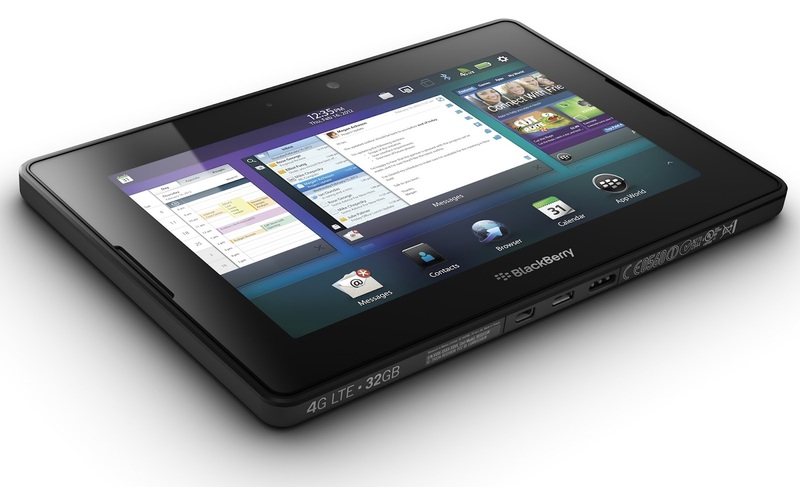 BlackBerry never made another tablet, and by 2015 they are only just hanging on as a smartphone manufacturer. In fact, BlackBerry are now rumoured to be looking at moving to Android, which is really half a decade too late. Although neither the Tab P1000 nor the PlayBook were a success, the 7” form factor actually was. In 2012 Apple launch the iPad Mini which was much smaller and lighter than the full-sized iPad of the time. And of course there are many, many Android tablets on the market today – but almost all of them are much cheaper than the iPad, which seems to be what consumers actually want.